Luxury, convenience and practicality combine in this unique condo home! Rare opportunity to live the Nouvelle lifestyle in unit priced far below other sales of $1, 000, 000+. Private, end location with beautifully treed views. One bedroom with a den(currently used as 2nd bedroom). Stunning 1 of a kind kitchen designed in 2014 features granite countertops, glass tiled backsplash & sleek contemporary cabinetry. This concierge building features CLUB NOUVELLE: with fireside seating, kitchen, gameroom w/billiards, card/poker tables , library, conference/diningroom , & 3 flat screen Tv's. FIT NOUVELLE: state of the art gym w/steam rooms. PARC NOUVELLE : 1.2 Acre lush rooftop garden with seating, walking path and 2 putting greens. Membership included to Bosse Sports(of Sudbury )w/indoor pool , tennis, golf and much more. 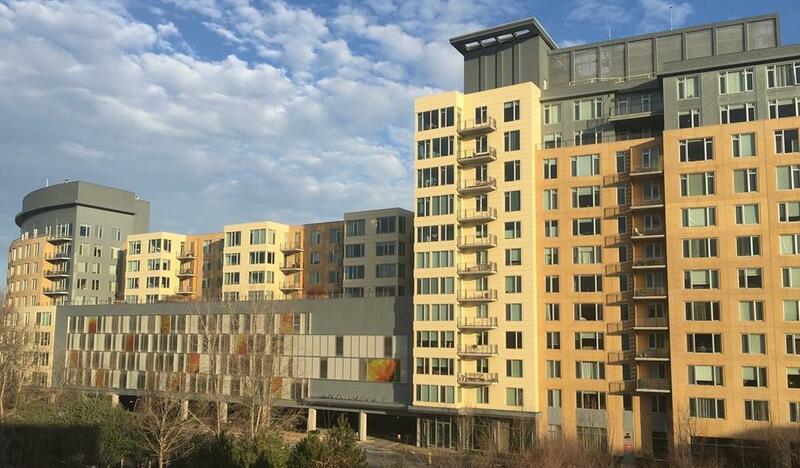 Enjoy direct private, secured access to Natick Mall featuring a wide array of shops and dining options and the new Wegman's Market to further enhace the Nouvelle Lifestyle!